It's What a Treat Wednesday with My Creative Time, and today I whipped up a fun little apron treat box that I found in the Silhouette Online Store, designed by Lori Whitlock. 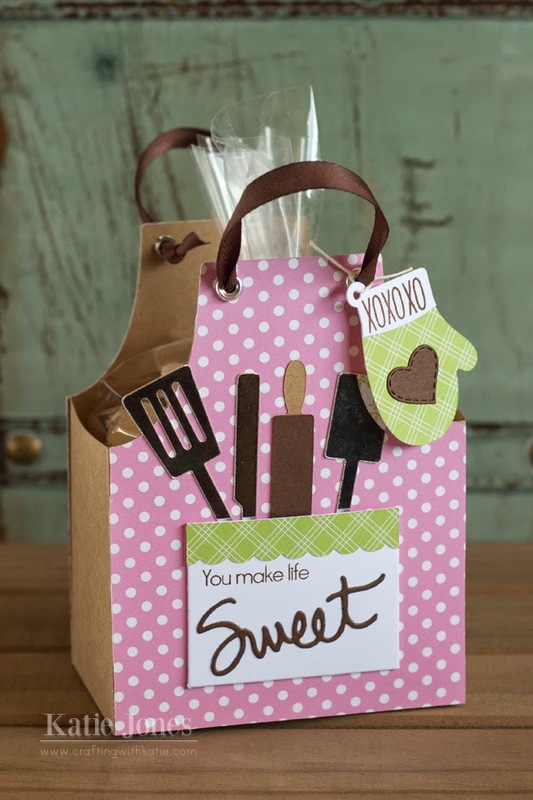 How cute is this with the little baker's tools tucked into the pocket? I thought it would be just perfect to decorate with some of the latest MCT products! I used the new Sweet Wishes stamps and die set to decorate the pocket. Some of you lucky ducks may have received this set free with your May MCT order! If not, it is available for purchase now. 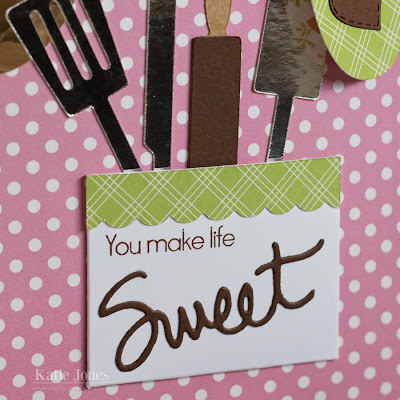 I love the combination of fonts with the "Sweet" die! I decorated the potholder with the "XOXO" stamp from the new Light the Candles set and added a heart made from the Stitched Heart Layering Dies for an extra special touch. This is a nice sized box for giving a generous amount of treats to a friend! This is so cute! Fabulous job! 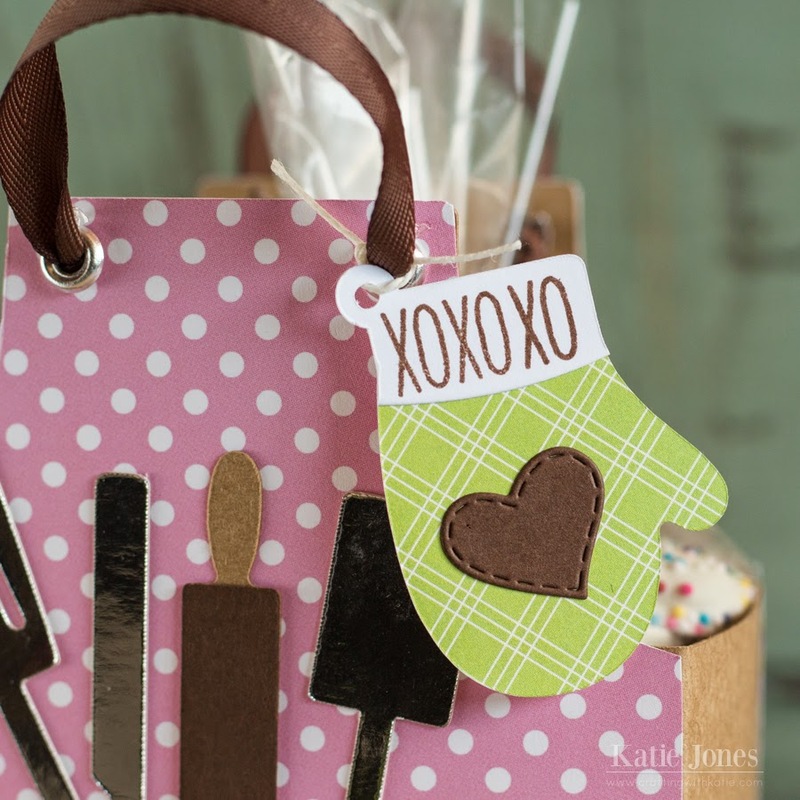 OMG Miss Katie Love your apron gift bag and the neat ways you used Miss Emma's goodies....tooooo cute! Love the polka dot apron the the green mitt awesome and cool look!! I can only imagine the look on that lucky persons face when they receive it. You will so make their day!! YOU ROCK!! This is beyond cute Katie...LOVE!!! Super cute treat bag!!! Those little utensils are adorble! The apron bag and kitchen tools is adorable. The pocket and oven mitt are decorated so cute with the MCT products. Great job. Looks like someone is getting a bunch of sweet treats. This is beyond adorable. I really like it a lot. Thanks for sharing !